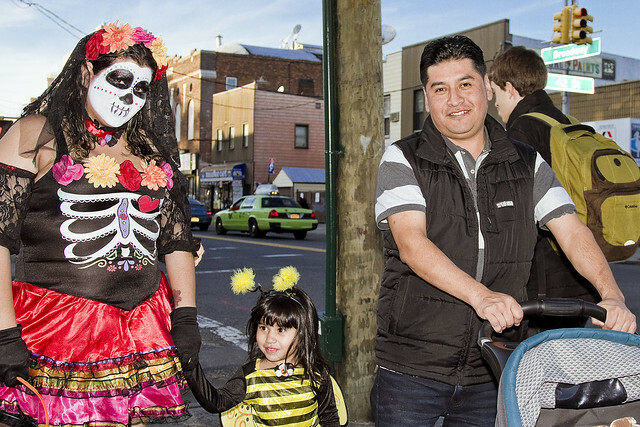 Shots from Halloween 2016, Astoria. 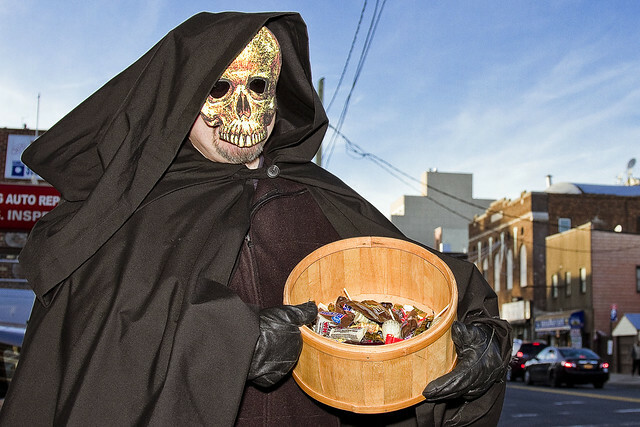 As stated, my plans for Halloween involved taking up station at the neighborhood pub and waving the camera about at people in costumes while Our Lady of the Pentacle and my pal Death handed out candy. 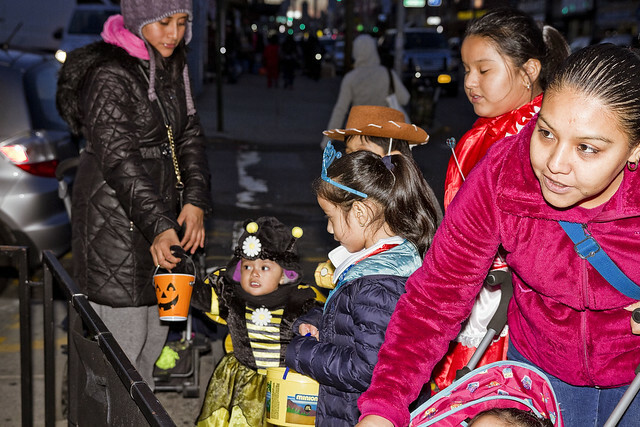 This is sort of an annual tradition for us, and for those of you outside of NYC – hereabouts the trick or treaters don’t ring residential door bells for their candy, instead they go from shop to shop along the “commercial” streets like Broadway here in Astoria, Queens. The fellow above should have won some sort of award for his pumpkin themed business suit. 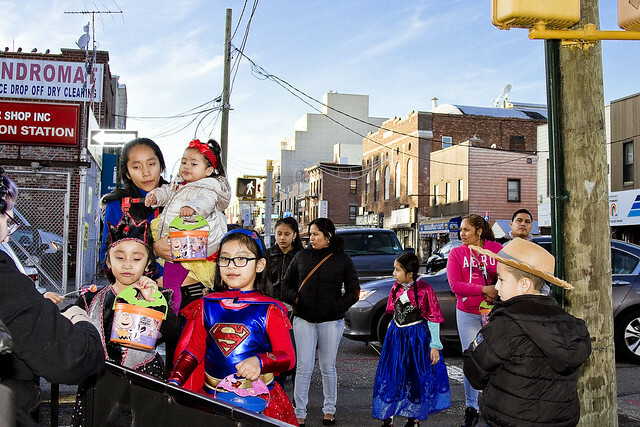 There were a lot of superheroes about. We counted around five Harley Quinn’s, dozens of Batmen, Jokers, and other comic characters. Supergirl was quite popular this year, I’m happy to report. 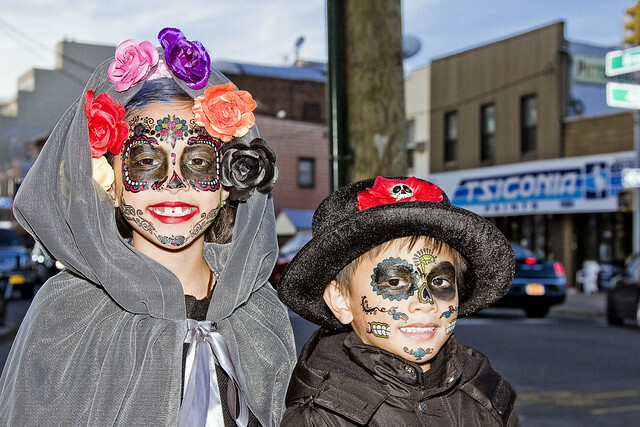 Astoria goes “all in” on Halloween, whether it be just the kid or her mom too. 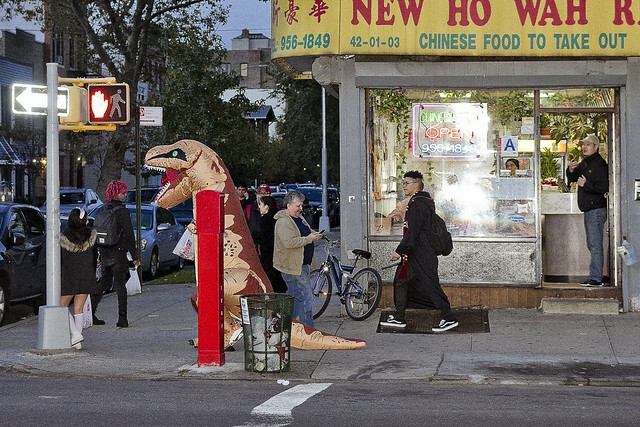 Some kid’s parents let him buy the inflatable dinosaur suit seen above, which is something I would have sold my soul for when I was 6 or 7. 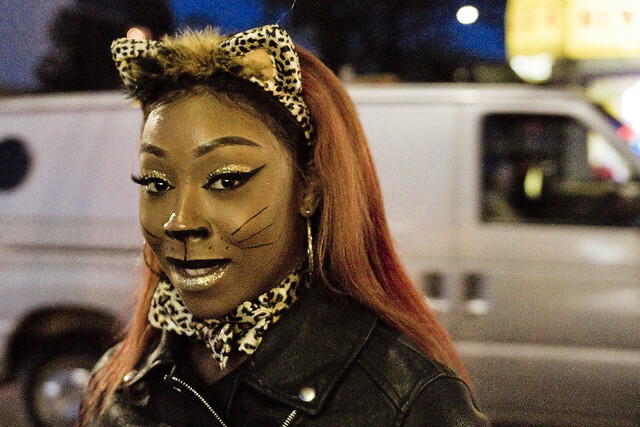 There were lots of grown ups all done up as well. 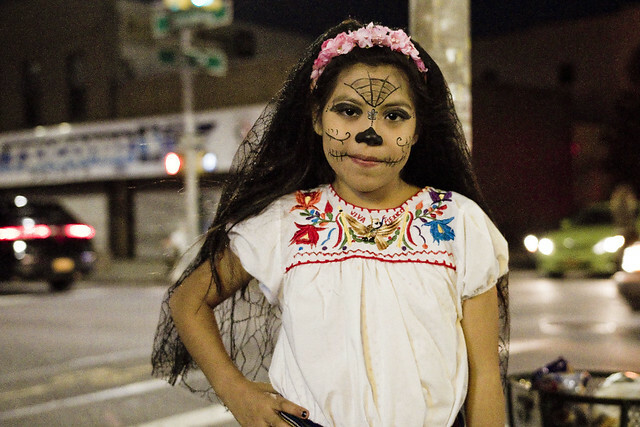 This kid pretty much won Halloween. 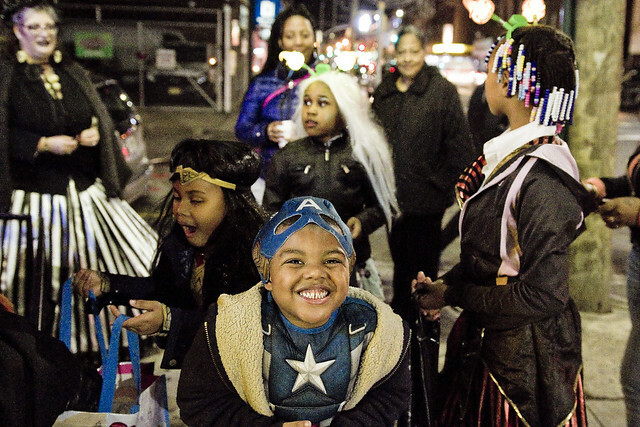 When I pointed the camera at this family, Captain America there jumped right in front of the lens. 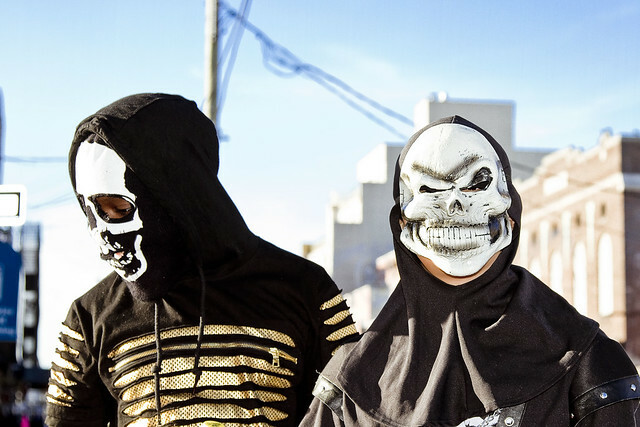 Great thing about Halloween is hamming it up, I guess.